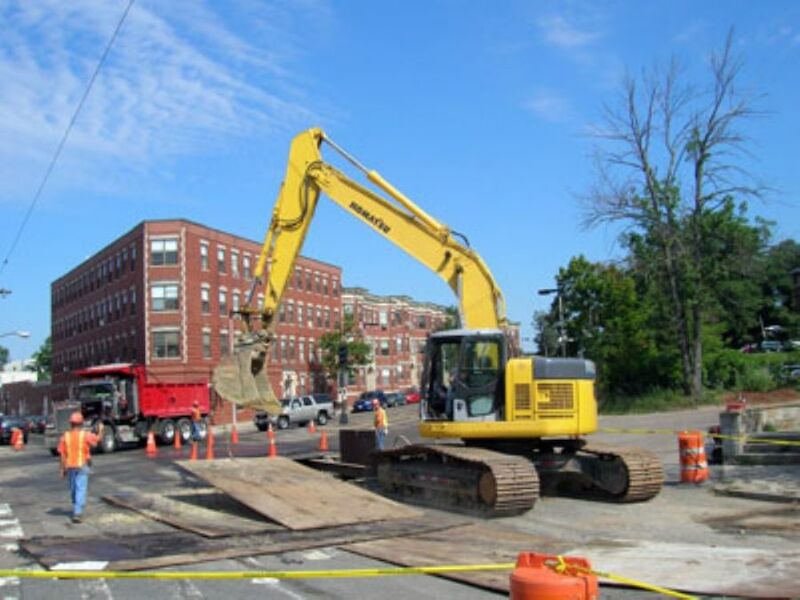 D’Allessandro Corp. has stood as a leading utility contractor offering a wide variety of infrastructure development services in the greater Boston area as well as Eastern Massachusetts for over 30 years. Founded in 1987 by Jon D’Allessandro, the company has continued to grow its experienced team and knowledge base for a wide variety of utility services and infrastructure development. What was once a one employee firm with just a small Case loader backhoe, has quickly transformed into a team of highly-skilled and experienced professionals who are reliable, competent, and dedicated to getting the job done and done right. D’Allessandro Corp. is always looking to expand its team, seeking talented and motivated individuals interested in the contracting and utility work industry. With extensive training programs, high safety standards, challenging work environments, and competitive benefits, D’Allessandro Corp. is a great place to start or grow your career. The group takes great pride in demonstrating excellence in health and safety precautions as well as providing high levels of employee and customer satisfaction, earning many industry awards and honorable recognitions. D’Allessandro Corp. carries out all training programs and daily operations in accordance with the latest safety and health regulations from the Occupational Safety and Health Administration (OSHA). The company is also a member of the OSHA Construction Roundtable Alliance and the Utility Contractors Associations of NE, Inc. While maintaining the highest safety standards, D’Allessandro Corp. also expects employees to give 100% while on the job, encouraging responsibility, responsiveness, and demonstrating initiative to always take the extra step in ensuring clients are happy and satisfied. For more information on career opportunities with D’Allessandro Corp. visit their website to learn more information and pick up an application at their headquarters!